The FurReal Ricky the Trick-Lovin’ Pup is eager to perform tricks and is sure to amaze everyone who watches him. 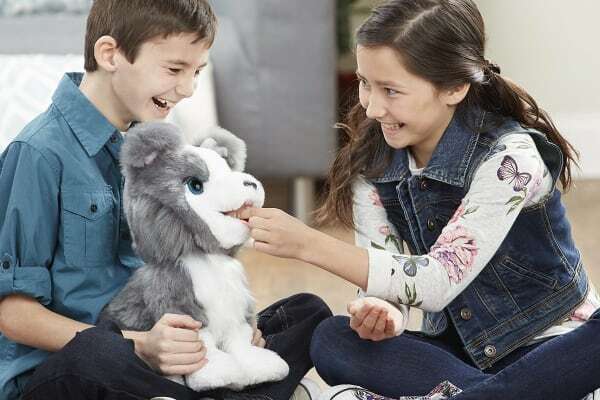 The FurReal Ricky the Trick-Lovin’ Pup is full of surprises and affection and responds with 100+ sound and motion combinations that keep kids guessing. He’s all about tricks, licks and treats! 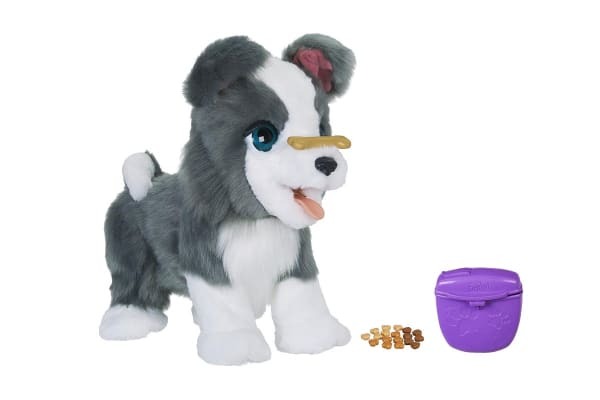 He can balance his bone toy on his nose and with a voice command, flip it into his mouth! Reach for his paw and he’ll raise it for a friendly handshake. When he’s excited, he’ll shuffle his paws and bark happily. And he’s very affectionate, so get ready for lots of doggie licks!